The other night I was bathing the Littles and began to look at the ingredients listed on the liquid body wash bottle and started to think about the fact that the majority of it is water, then I looked at the hand wash and same thing.... aqua. 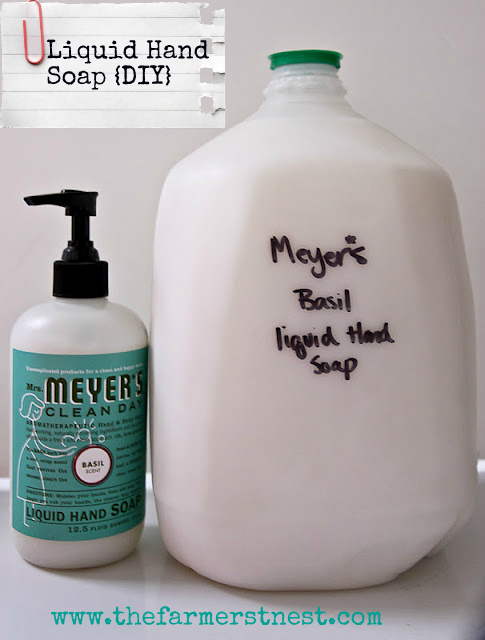 Because most people have turned to liquid soap rather than bar soap I figured there must be a way to convert the cheap bar soap into the expensive liquid soap we all know and love. After I tucked the littles into bed I began my google research and there it was...a wealth of information on the subject. I combined a number of "recipes" into one that works perfect! Get a cute little girl to help you do the hard work. Don't worry she's not using an actual cheese grater with a blade. 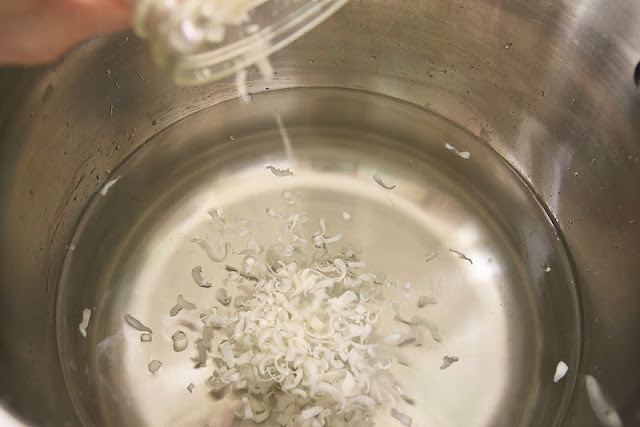 Fill a pot with 1 gallon of distilled water and add the soap shavings. Add 2 Tablespoons of liquid glycerin and turn the heat to medium/high and stir until the soap dissolves. This is what it looks like once it's dissolved, basically just soapy water. Leave it alone to cool for at least 10-12 hours. It begins to cloud up after 3-4 hours. After it has cooled completely around 12 hours later it will harden and look like liquid soap. 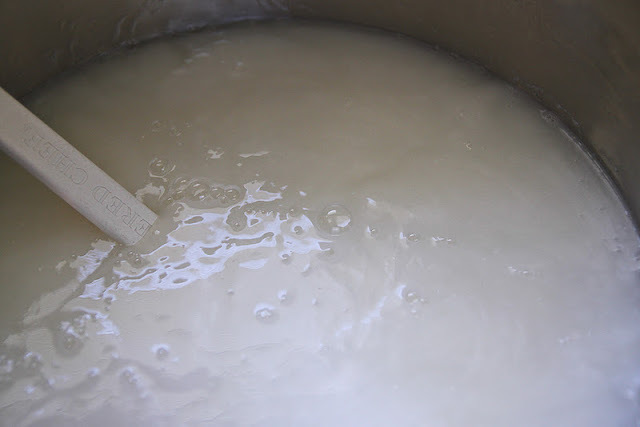 If the soap is harder than it should be you can take some beaters and blend it while adding just a little bit of water until the consistency is more like liquid soap. There you have it....Liquid Soap!!! Now you can refill your 12 ounce bottle of liquid soap (that cost $3.99) with your gallon of refill that cost around $4.99. That's some huge savings!!! 1 bar at $4.99 produces over $50 worth of liquid hand soap!!! I'd say that's worth the 20 minutes it will take you to make it yourself. The hardest part about this project might be finding and choosing your favorite bar of soap. Mrs. Meyer's is kind of tricky to find. It can be ordered on their website or your can special order at your local health food store. *I also made liquid body wash using this same recipe. * After many have shared Dove soap does not work well with this recipe. * Use your gallon container that the distilled water was in for storage of the soap. I have had many emails regarding runny soap. Because I have had the opposite problem both times I've made it while using different soaps I can't give you a tested remedy. What I have read on the internet is some soaps have extra moisturizer in it making it harder to set firm, Dove being one of them. I read that you can heat the water back up and add more soap shavings and allow it to cool again, once cooled if it still hasn't set you can whip it in a blender. If this still doesn't work then google until you find a solution to your particular situation. * Texas folks I have found Meyers bar soap at Central Market but not Whole Foods. * The soap can be a snot-like consistency, gross description I know but it still works. * Soap does not create a big lather. What a great idea! I'm going to have to try this when we get back home. Thanks for doing the hard part for us. you are so schmart!! doing this soon. What kind of bar soap did you use for the body wash? 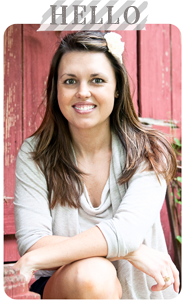 I came over from a pintrest link...love the looks of your blog...saving it to my favorites! Do you have a recipe for laundry soap? With seven kids, we go through hand soap really, really quickly. I spend a fortune on it because i'm a freak about all those chemicals in the cheap stuff. You just saved me a ton of money. More money for crafting, yeah! Thank you for sharing your recipe for liquid soap...I've been hoping to find one. I appreciate you! 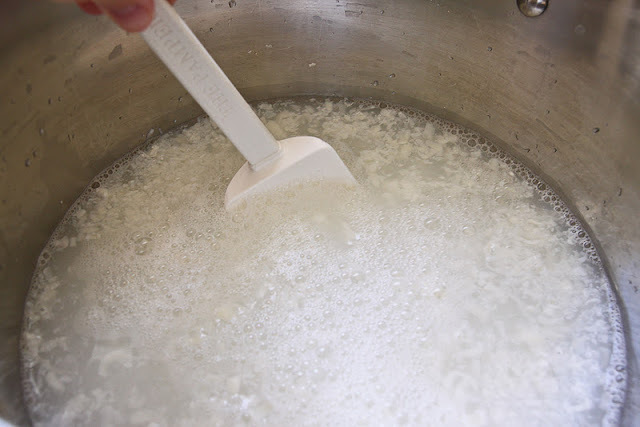 Add 4 cups hot water to a small saucepan. Grate the Fels Naptha soap and add it to the saucepan. Heat over low heat until the soap is melted and combined with the hot water. Fill a 5 gallon bucket 1/2 way with hot water. Add the melted soap, Borax, and Washing Soda. Fill the bucket to the top with more hot tap water. Let sit overnight to thicken. Stir, and dispense thickened soap into cleaned laundry soap dispensers (use empty containers from commercial brand laundry detergent): fill each bottle 1/2 way, then top the container off with water. Shake before use. This liquid laundry soap recipe yields 10 gallons. For HE machines, use 1/4 cup per load. For top-loading machines, use 1/2 cup per load. This is the same recipe that the Duggar family uses so with all those kids, it must work pretty well. I've just made my first batch so have my fingers crossed. This is awesome...I am always looking to save a buck! For washing stinky clothes place Vinegar in your fabric softener dispenser add your soap just wash in warm water. The results are your clothes smell like your soap detergent and place in dryer. No need for dryer tabs the Vinegar works as a anti static guard too. Great post! Considering how easy this is, I am definitely going to make it. I'm sure you could use any bar soap. I used a eucalyptus mint body bar that I got at Central Market. thank you! this is my fav soap! I saw this on Pinterest and since we just ran out of hand soap I thought I'd give it a whirl. I had glycerin on hand from making homemade bubbles so I didn't even have to go to the store. It took me about 20 minutes from start to finish and now all I have to do is wait until tomorrow morning for my soap! I used 2 4.25oz bars of Dove sensitive. Thanks! I'm planning on using Dove as well but read that it comes out too watery. Did using two bars solve this problem? Thanks for posting, we're going to have to try this! Since it was requested, this is how we do our laundry detergent and it works wonderfully! Home-made Laundry Detergent Directions here: http://www.diynatural.com/simple-easy-fast-effective-jabs-homemade-laundry-detergent/ (and if you scroll down and read the comments there are directions for liquid detergent too). This is a pretty standard detergent recipe, some add OxyClean (equal amounts oxyclean, washing soda, and borax) to the mix to give it even more of a boost. Oh! I am doing that TOMORROW. The lavender is my fave. Thanks! You can get Mrs. Meyer's at Target!! Once you introduce water to it you'll need to add a preservative to inhibit mold, yeast and bacteria growth. I'd give the un-preserved liquid soap a month's shelf life. For personal use you can keep as is but if you gift it I wouldn't risk not preserving it (optiphen, germaben,etc). i love, love, love your blog! Just stumbled on it from pinterest - SO happy i did! You and the wee ones are adorable! Another pintrest find. Love this so much. Thank you! Mrs. Meyer's Basil is my favorite too! LOVE IT!!! Found you from Pinterest. This is very interesting and I'll have to give it a try. I'll keep in mind what Debbie said about the shelf life though. And I wanted to comment that my family has been using home-made powdered laundry soap like the one Becky mentioned for over a year. We also use a Downy ball filled with about 1/2 cup of vinegar in the washer and skip the fabric softener sheets in the dryer. Don't worry, our clothes don't smell like vinegar. They come out soft and with no artificial fragrance that irritates the skin. i used some pumpkin spiced bar soap found on the clearance rack at TJMAXX!! love! I am making up a batch now. I also wonder about bacteria..seems like it would go bad fairly quickly in my area. I made this a few hours ago and just realized that it needed to be an 8oz bar of soap. I should have used 2 bars. Can I grate another one and add it and heat it again? Any suggestions? I hate to loose the batch. I actually have my first batch cooling already (i made a half batch for testing purposes) As for the preservatives I have found multiple outlets for it online. However I dont know what the ratios would be....hrm. something to figure out!! I will be divying up this batch to friends to try out.. If they like it, I will be making a custom batch for my friends Bed and Breakfast Inn!! I've read others having this problem and it had something to do with the bar of soap they used. Did you use Meyer's? I read where others heated it back up and added a bit more glycerin and then it thickened up. Hopefully it works. The soap doesn't lather as much but we all know lathering is not a sign of better cleaning, just a marketing tactic to make us think it's cleaning better. I read that others heated it back up to add more soap and it turned out just fine. I'm sure you can add it. I still have a little left from a 5 gallon bucket of liquid laundry detergent I made over a year ago with no sign of mold, yeast or bacteria growth. I have read that others have stored theirs for a couple of months with no signs of mold or growth of bacteria. I'll let you know what happens with mine. Thank you so much for posting, I saw many similar posts with other soap, but once I saw Mrs. Meyer I was done! I love the Basil, LOVE IT!! So thank you, I will bottle my homemade version tonight!! Mine is still very watery as well.. any suggestions as to what I did wrong? Thank you so much! Very excited to make this. looks great...I'm off to make some soap! I tried this with two bars of Dove last night (each 4.25 oz) and it is super thin this morning after sitting for 12 hours. I think I am going to try adding another bar of soap to it when I get home tonight, doesn't at all look creamy like the Meyer's. Dove is a synthetic detergent bar (this doesn't mean that it's not a good product) not actually soap--so it will behave differently than soap==use real soap to make the liquid soap. I may have missed this comment, but I get very dry hands in the winter...have you tried to add lotion to this recipe at all? Would love to know if it can be done and how much....great idea thanks for posting. I LOVE Ms Meyers stuff. Basil is my fave, too. sorry, Tracy--soap is a rinse off product--adding lotion won't help dry skin--just apply when hands are dry--that works the best. If you added lotion of oil I would do it once it's set overnight. I haven't but will try that. Thank you ! I absolutely LOVE Mrs. Meyers hand soaps, but hate the price tag. Thank you so much! 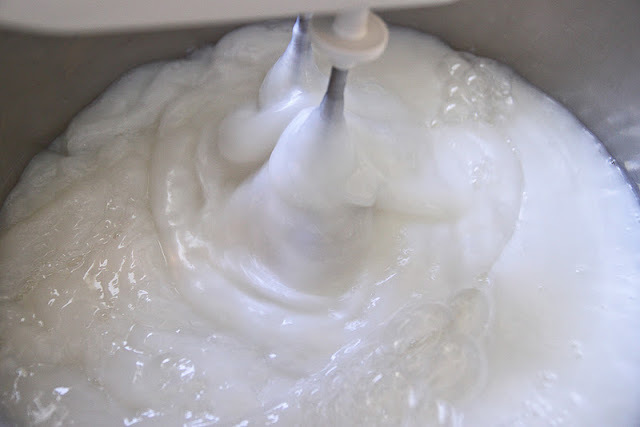 I have been making my own laundry soap and fabric softener for a while now. I happened upon this site YEA! and saw the recipe for for liquid hand and body soap. LOVE IT! Cheaper is always better in this economy especially if it really works. From all the posting it seems that it does. I would though like some more clarification regarding adding oils or lotions to the hand soap recipe. What will happen to the consistency of the soap and how much of what should I use? Any other great home made ideas I am up for. Thanks Farmers Family! I wonder if this would work with a bar of Bronner's soap? I read others that used Dr. Bronner's and they stated it worked. I make liquid laundry soap (using the basic recipes listed here) with Bronner's Peppermint bar soap and add some lavender essential oil. It is wonderful and no mold or other non-preservative problems. Oh man I was so excited about this... my first batch is sitting on the stove, but after doing more research it looks like you really need a preservative. The one i found was Optiphen Plus... and it looks like you will need at least 8oz of it which cost : $13.95 before shipping for the 128oz soap. I am not sure what to do with my soap that i am making right now. I recently tried the same thing with a bar of Dr. Bonner soap and a half gallon of water (same amt. of glycerin, though). I love the stuff and use it as body wash in the shower. I have to shake up the pump bottle to loosen up the soap a bit, but it works sooo well. If y'all are worried about bacteria, maybe try using distilled water. You *do* know that there's water in store-bought liquid soap, and that doesn't spoil, right? so, so cool!! thanks for the tutorial!! Pinterest find; I need to use Dove for my son's eczema so i was thinking I could throw some oatmeal in the food processor let it whirl around and add it in until its thick enough. Plus the oatmeal is supposed to help with moisturizing skin. Thanks this will save a bundle of cash. I have my batch cooling on the stove right now. Used Yardley's English Lavender. I used a 4 oz bar and then realized I needed an 8 oz. 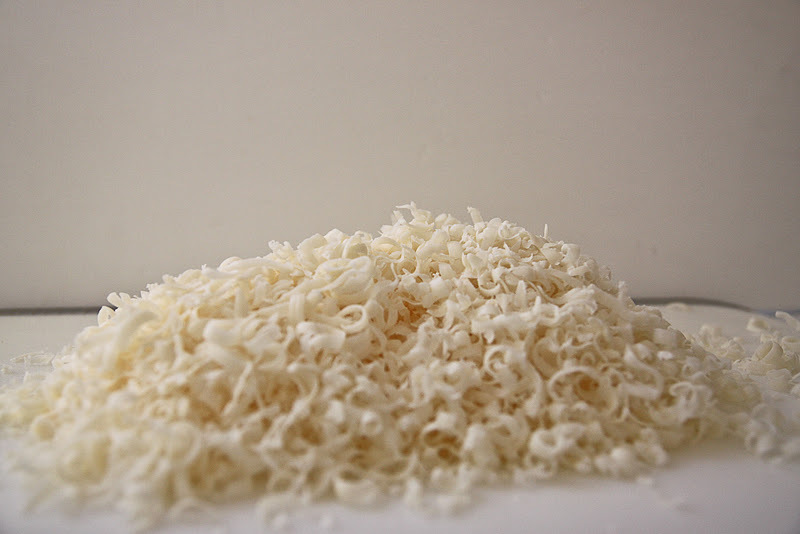 I just grated a 2nd bar, reheated my batch, added and stirred til it melted. We'll see how it fairs in the morning. ALSO- My husband is very happy with the cost compared to the liquid soap refills we have been buying. Yardley's also makes an Oatmeal bar that may be nice for sensitive skin. I agree that distilled or filtered water would give you a better chance of escaping bacteria. Tap water is nasty stuff. Can't believe I didn't think to check the ounces on my soap bar before making this. Turns out I should have used two so have to go back to the store. But thanks for this recipe! I make fancy bars of soap all the time, but didn't know about making liquid soap and body wash. I love this idea. I have some glycerin around the house. BTW- I had the hardest time trying to find glycerin. I didn't know it was in the band-aid aisle. I'm going to make mine today or tomorrow using Zum (a local favorite). BTW, our Target keeps the glycerine behinds the pharmacy counter, probably so people don't go all Fight Club with it. If you can use salt to help soap harden, could you use a pinch in this mix to firm it up a bit? I keep an old peanut butter jar under the sink with water in it and each time I find a sliver of soap too small for its own good I toss it in. I used my stick blender to mash it all up with a bit more water and Voilà! liquid soap from rescued slivers. I'll have to try a bit of glycerin next time. And, then I used a couple of cups of this in the borax, washing soda, detergent recipe instead of Fels naptha and got 3 gallons of detergent for what, 50 cents? Ok! Glad I found you too.. gosh, we go through SO MUCH hand soap it's not funny!! Thank you for posting this! I used 2 Cetaphil Antibacterial bar soaps, 2 T glycerin, 1 gallon of distilled water, .2% Methylparaben (preservative) and needed 2 1/2 teaspoons of Xanthan gum to thicken. 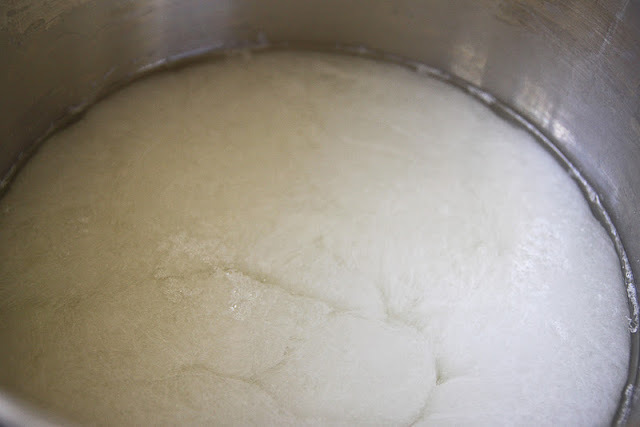 The xanthan gum needs to be blended in order to thicken properly and the soap ended up just being micro bubbles. It works ok but next time I will try salt to thicken it. I ended up with 2 gallons of soap it was so full of bubbles. Where can I order reusable dispensers online? Love the idea of making this for gifts! Easy-peasy for my kiddo to help with. I can't find glycerin at the stores. I have asked at the pharmacy and they direct me to the enema aisle. Those boxes don't say 100% gylcerin on it so I don't think that's what I am looking for. Is the Wilton cake decorating glycerin the same as what I am looking for? It says 100% gylcerin on it. Walmart and HyVee had it in the bandaid isle but was sold out. CVS had it with facial lotions. Yes, Wal-Mart has it for around $3 a bottle. The same sized bottle at a drug store is twice as much. FYI. Okay...so I was super excited to try this "recipe". I made it tonight & it was a success! YAY! Though I had the same problem you described (needed to add a bit more water & beat). Was yours perfectly smooth in consistency? To folks who are interested on where to find nice/affordable bottles/containers online, I really like www.specialtybottle.com -- I've ordered several items from them (from spice containers to glass bottles) & had great luck. Super affordable & high quality products! Mine was also snotty, what did you do for this, I was hoping for a more smooth consistency. LOVE THIS! Just finished my first gallon tonight! I used purified water from Safeway $1 for a gallon. The constancy is gross! Very slimy and chunky but works like a charm! I plan on filling mason jars with it for gifts! Just need to find the pumps in bulk! All of my local wal-marts have the A&H... it's down the laundry isle. (usually on bottom shelf). opposite side of the detergent and clorox. I bought a HUGE bag of A & H soda at Costco for around $6! Just got my 7 bars delivered from drugstore.com (with free shipping). Melted my first bar and waiting for it to cool off. Can't wait to try it. Thanks for instructions. The consistency is snotty and sometimes can get lumpy. I'm sure you could google for reusable bottles and find more than enough resources. As for me, I just used an old bottle I had purchased with the soap in it. I want to make a soap dispenser from a mason jar just need to find the time to do it. Love this idea. If your looking for container/bottle ideas I saw where a lady spray painted her Dawn pump bottle with bronze spray paint and then put a monogram sticker on it as label. I'm here via Pinterest, too. I find Meyer's soaps at Ace Hardware. will these recipes work for high efficiency machines? I live in TX...Walmart carries Mrs. Meyers if anyone is looking for that..just FYI. Thanks for this wonderful info...gonna try this next week!! distilled water has just as many bacteria as tap water. The distillation removes many minerals but, it isn't meant to remove bacteria. i supposed you could boil the water first! I agree boil the water first. I also agree on boiling the water first. Since my SO prefers liquid soap but we have tons of bars, especially from hotels, I always use those first. This way they are put to a good use and I need to add essential oils anyway, if I want a scented soap. i made my soap and it is really slimy. is this normal? and how do i pour this into a gallon jug? This is so awesome! I am definitely going to try this! Hi, found you on pinterest. Must try this, I've got my list for the store and will try this weekend. Have some concerns about the water/bacteria issue but I do not want to add a preservative so I'll try boiling water first. Or may just cut the recipe in half so I don't have as much to store. Thanks for sharing. Nice blog, hope to be back again soon! FYI - I buy my Mrs. Meyer's products from drugstore.com. They're often on sale even! Has anyone tried using glycerin soap for this? I am wondering if you use glycerin soap to start with, if you can omit the liquid glycerin. Any advice would be appreciated. I keep forgetting to look for glycerin for this recipe - someone asked, and yes, it would be the same as in the cake section since it's also used as a sweetener - so I googled glycerin substitutes. Supposedly you can use other carrier oils, such as jojoba. I picked a Bronner's lavender soap which has coconut oil, so I figured I would use a different carrier and may try it with sweet almond. Thanks for sharing; I'm excited to try this! I'm sick of buying the little bottles of hand soap, even when they're on sale. Can't wait to try!I went to all of the major grocery stores, drug stores and Walmart/Target, and no body had vegetable glycerin. I finally found a couple of health food stores that had it. Price varied from $4.49 -$7.99 for a 4oz bottle. I made this soap today using South of France Citrus Mint Soap. This soap already had glycerin as an ingredient so I used sweet almond oil instead of the glycerin. It came out perfect. It hardened into a big blog of soap jelly and I whipped it like crazy with my hand blender and viola! Perfect. Thanks for the tutorial! I've read that a few drops of Vitamin E oil will work as a natural preservative for homemade soaps and toiletries (I think it was a DIY deodorant recipe that I saw that in). I wonder if storing the excess soap in the fridge would also help? I'm planning to make this, but I think I'll do half a batch at a time so that it's not sitting around for too long. We've done this for a number of years and NEVER added preservatives. I asked my chemist friend and was informed that no preservatives would be needed as the soap in the water acted as the "preservative." However she did recommend using distilled water. Currently we are purchasing liquid soap, adding water and then using it in our foaming dispensers. Its a ratio of 1 part liquid soap to 5 to 7 parts H2O. I make it up in 1.5 litre bottles and store for months on end with negative effects. Why not add a few drops of Grapefruit Seed Extract to the recipe? It is an all natural citricidal and kills molds, fungus, bacteria, viruses, etc. You can find it in a natural health store or online. It would be a LOT cheaper than buying distilled water. It took me a couple of stores to find the non-enema glycerin but Walgreen's had it in the hair aisle. I've grated a 4 oz bar of Yardley English Lavender and it's cooling now but I'll probably grate the second bar. If this works, I've got Christmas gifts for my neighbors! We just made this with Mrs. Meyer's Lavender soap, and it looked exactly like your photos. Thanks for the great, easy, instructions. You just helped us make our Christmas gifts for teachers. Thanks! I made this yesterday with 8oz of my homemade cold process lye soap. After 12 hours it was still watery. I put the lid on it and ignored it until I could decide what to do. However after 24 hours it was nice and thick. Perfect consistency. Maybe some soaps just need a little longer to set up??? It may be runny because some people are not using actual soap, but detergent bars like dove. Make sure you're using real soap (meyers, fels-naptha, zote, original ivory), but also like the previous post, maybe some soaps need a little while longer to set. I am excited to try this! Thanks for the info! That looks great! I used to make soaps, body sprays, etc, and in all the researching, also found preservatives are very important when water is added. Some use Vit. E, Grapefruit Seed Extract, Essential Oils, etc, that want to remain all-natural, although the efficacy of that is debatable as they are not actually preservatives (although they have properties which tend to preserve). You can find an excellent resource below to learn more and also order supplies (preservatives, containers, essential oils, kits, etc). I've ordered from them with great success many times. Hi! Thanks so much for this tutorial! My hubs has TERRIBLE hand eczema with a super sensivity to formaldehyde. We usually buy Mrs. Meyer's liquid soap but it is pretty expensive so I decided to give this a shot. My Target doesn't carry Mrs. Meyer's bar soap so I tried it w/ Dr. Bonner's lavendar bar soap, (found in my Target's cosmetic aisle) which is only 5 oz. It worked perfectly! you are a genius! i was just wondering how to keep my favorite soap in my budget.thank you!! I am making this right now! I've been looking for hand soap containers and just couldn't find any! I'm using soft soap bar soap and I added some peppermint oil. If it doesn't work out, I'm not really out anything. Thanks for the great tutorial. Your helper is precious :). Mine is a snot like consistency. My daughter & I were cracking up. Vitamin E oil is the perfect preservative for this and great for moisturizing skin! Use one drop per ounce of liquid and it will last up to 5 years. I already make my own laundry soap... one batch costs less than $5 and last this family of four 6 months! I am ready to make hand soap now as well! So excited! Thanks!!! Has anyone tried this with Lollia soap? UPDATE::: my batch turned out great!!! On a side note: if you happen to use a bar soap that has glycerin already in it, use half of the liquid glycerin that the recipe calls for.......won't be runny. Thank you.....saving money is always good!! I brought Yardley bar soap for .97 bar for 4.25 oz. I made my batch with Mrs Meyers lemon verbena bar soap...as I saw on another post, mine too was very "snotty" and lumpy but smelled great. I poured (not easy without a funnel!) it into a gallon jug. A couple of days later I grabbed that jug so excited to refill a dispenser only to find that it had thickened to the point that it won't even move when I hold the jug upside down and shake it! :( I can stick my finger in there and feel that it is the consistency of "gloop" the kids make with Borax. The small dispenser bottle I'd filled immediately after making it is usable but it is so stringy that it ends up on the counter or down the side of the bottle instead of in my hand. :( I am so bummed. Wondering what I did wrong and feeling like it was a waste of $5.50 on the bar of soap. Any suggestions to remedy?? You needed to wait for it to get to that thick consistency while in the pot and then beat it with a mixer like I showed in the tutorial. I would cut open the jug and put it back in a bowl and mix it with an electric mixer. I am making some of this right now with Dr. Bronners. Can't wait to try it out. Thank you so much for the post..
Wal Mart also carries Mrs. Meyers- you can get most of their scents through Wal Mart's web site with really cheap shipping. Just cooked up a batch! Can't wait to see what develops! Thanks for the awesome tip on www.specialtybottle.com !!! I can't believe they don't have any minimums or handling charges...just straight shipping So MANY items I have been paying way to much for in the retail stores!! Is the recipe for body wash different? I made body wash using your method. For the body wash I used: 1 gallon of distilled water, 2 TBSP of vegetable glycerin and natural goat's milk soap. I had to use 2 bars because they were only 5oz each. It has turned out fabulous and was about $8 for a whole gallon of it. My skin was so soft after the first use! I love it! Will do the hand soap next. Tried and tested here in the UK, works a treat! Thank you so much for your attentive reply above! (I am the one who used Lemon Verbena and had it solidify in the gallon milk jug if this reply of mine posts at bottom of all comments instead of below yours) I should have said that I did indeed wait the 12 hours ( I think it was closer to 24 for me) added a bit of water and beat with an electric mixer before pouring into the jug. Maybe I waited TOO long or beat it too long??? I will try cutting it out of the jug :) and beating it again. I am determined to make this work! :) Thanks again. Thanks so much for this recipe! I used my own cold processed soap (8 Ounces) and a gallon of water. Followed the directions and after letting it sit~the soap had separated. I got out the stick blender and gave it a few good swishes and it thickened right up. It has a beautiful pearly sheen to it and feels wonderful on the skin. I Love It!! Beautiful! I let this sit for 24 hours and it was still very runny. So, I took my stick blender to it and let it sit again for about an hour. It thickened right up! Thanks so much for the recipe. FYI: I used my own cold processed soap (8 oz.) and 1 gallon of water. this is great! for some that are unsure and are looking for another route for homemade soap, you could always get a bulk size of Dr. Bronner's. put about a half inch in your FOAM dispensing soap bottle, fill the rest with water. we've been using it for well over a year. it works great. and we don't use SLS in our house, so it's a win-win! I think I found this on Pinterest and it is just what I need! 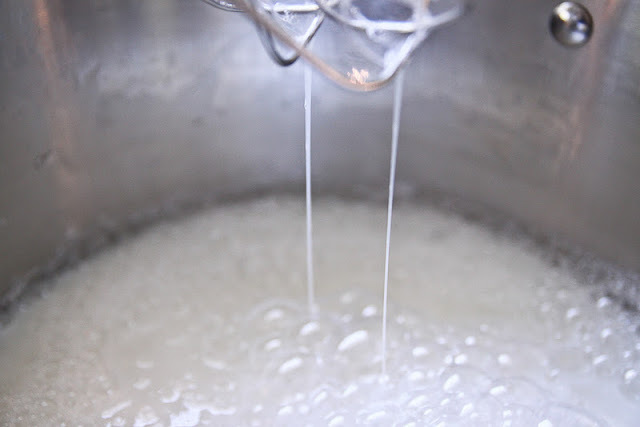 I have been wondering how to make liquid soap at home and getting ready to sit down and do some research. Thank you! Thank you!! @Michelle re: bacteria/mold You can use distilled water to reduce the possibility of growing bacteria or mold in your soap. You could probably also boil tap water to purify it before you use it in the recipe. I just made a batch and I'm not quite sure I'm thrilled with it. I used Dr. Bronner's peppermint soap and after 11 hours, it looked like gelatin! So, I whisked it up and added a bunch of water. It's now down to a snot-like consistency.... but I'd actually describe it more like egg whites. Because it's very gloppy and it plops out in huge blobs. Should I throw it in a food processor or something to 'cut' the stringy glops? I'll still use it but it's not really what I had in mind. this is genius!!! I am making some this weekend! How long have you had this, and have you noticed mold growth yet? 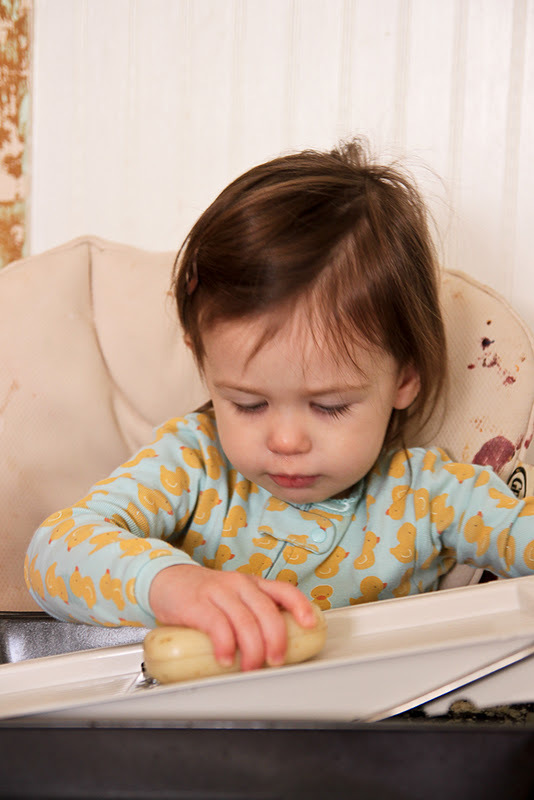 Adding water, even purified water, always introduces the chance of mold and other "buggies." 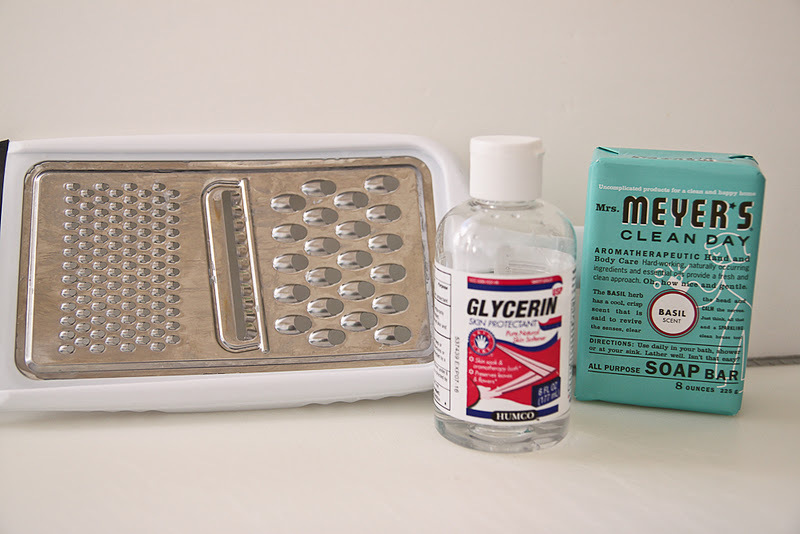 Would you need to add the glycerin if you're using glycerin soap? mrs. meyer's is available everywhere, including target and bed, bath, & beyond. also, trader joe's. I just made my bathc and mine was like Joyful said, glumpy. After attempting to use my mixer and that not working, I just used my hands to get the lumps out! I filled an entire milk jug plus an empty soap pump and we are good to go! Thank you so much for this, it will save us tons! Oh, and I used Yardley soap that I found at Walmart for $.97! couldn't you just put it in your fridge or (if cold enough) your garage to inhibit bacteria/mold? I live in a very dry climate, I wouldn't worry about either of those. I made a batch this morning and it sat for several hours, got cloudy, but was still just as runny when I stirred it. 20 minutes later it was THICK and pretty much set. Maybe the key is to stir it after a few hours?? LOL I was amazed how quickly it set. Just finished making this, now letting it cool, with my favorite scent of Ginger Essence from Origins, which was not cheap at $13.50 a bar; so I'm pretty excited if this turns out being that I'll be able to turn that expensive little bar into hand and body wash that will last me a year (single and no kids) which now totally makes that price worth the bar. Awesome! You are some kind of SMART!!! Just found your blog while on Pinterest. 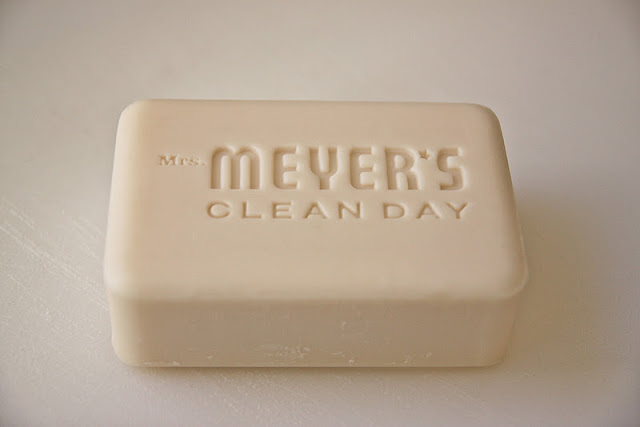 Someone pinned your idea for Meyer soap. I don't have Littles anymore but will someday have some grands so the kitchen idea will be a project. Hello, I just made this soap and although I didn't achieve the "snot-like" consistency, it's pretty soapy and I like it. Next time, I will use the Mrs. Meyer's soap. Anyway, will this soap go bad or mold or anything like that? Is a natural preservative needed? Refrigeration? What a fabulous, money-saving idea. I'm definitely going to give it a try! Maybe a different scent for every sink! Thanks for the great tips! You have a beautiful blog and I'll be back! I used dr bonners peppermint soap to make this last night and the batch is still just watery this morning. It doesn't look cloudy or soapy at all, just looks like water in a pot! I've made this recipe before, with success, using a differen organic soap-not sure why this type of soap didn't work. The first batch I made took a long time to dissolve the soap-but the dr bonners only took a few minutes. I was suspicious when it didn't look soapy/cloudy at all last night but thought I might thicken up by this morning, but no luck! I just left a comment about dr bonners not thickening up this morning. I gave it a quick stir when I checked it about 30 minutes ago and now it's starting to look thicker (and smell stronger)! I have a feeling it's going to set just fine in the next little bit. Woo hoo! I used Yardley's & after cooling needed to add more water & use my mixer. However, not only does it not suds, but it does not feel like it cleans my hands very well & seems very drying on my skin. It comes out of the pump in a very slimy consistency. Any suggestions? So I tried this with a bar of Kiss My face olive oil and lavender soap. It's been 24 hours and it hasn't thickened at all. :( Should I reheat and add more glycerin? Glycerin will make it more "runny". Reheat and add more soap. It doesn't need to thicken for it to work. It's still soap and will work. I make sure to shake and or mix throughout the solidifying process. The soaps with more moisturizers need to be mixed occasionally throughout the 24 hours. I am curious if you've tried any other types of soaps? Shampoo, face or baby bar soaps? I imagine a ton of money could be saved if your recipe works this well with those too! Thank you so much for a great idea! Coconut oil has anti-bacterial, anti-microbial, and anti-fungal properties.... I'm sure with some experimenting the right ratio could be figured out and then the concern of your soap going bad would be taken care of. It also is an amazing moisturizer!!! help! I was excited to try this as well as it will save my family a TON of money! (or so I thought) I did just as recipe says... only.. adding 2 more 4.25oz bars of soap and 2 days later and it's still watery/a little slimy!? i'm not sure if i should keep re-heating and adding soap to get a good consistency or not? Saw this on Pinterest the other night and have just turned the burner off to let it cool. I love Mrs. Meyers Geranium and hope all goes well! Will know in the morning! In addtion to my use at home this will be a great gift. Thanks so much! I am having a very hard time finding the Meyers hand soap, any suggestions? I live near Port Huron Mich. I seem to be having a hard time finding the Meyers bar soap, I live near Port Huron Mich, any ideas? I found lots of Mrs. Meyers liquid soap, but non in bars in Omaha. So, I just decided to try something else! I used a bar of Bronner's Castille Peppermint soap and it worked great. Mine was runny, but I decided to use it anyway. Once I had used up the first bottle, I got out the milk jug to refill it and noticed it had hardened considerably, and was then a great consistency! The only thing I don't like is that the soap is sort of stringy... when you pump it, there is a big long string that is impossible to get rid of! I have since tried it with handmade goat milk soap and that was an epic fail. It never hardened, at all. Today I just made a batch with 2 bars of Burt's Bees. It didn't have a scent so I added some essential oil to it. We'll see how it works! 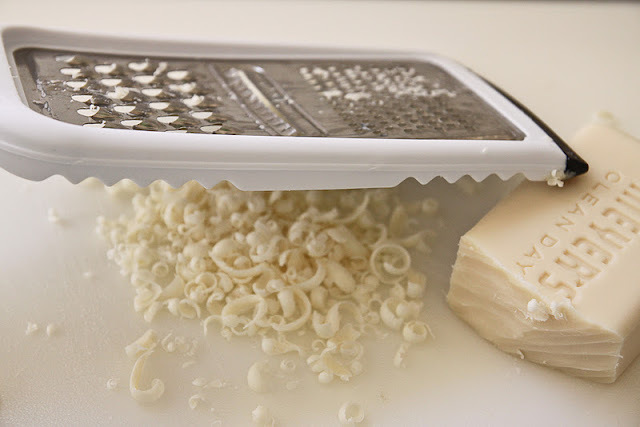 I use my Kitchen aid mixer grater attachment, cleans up and can make alot of different kinds quicky, we had a soap party!!!! Texas folks! Well, Dallas folks, Meyer's bar soap is also at ACE hardware. Random? yes, but convenient! Thanks for the tutorial, it's great! What can I do to get a scent and certain color to it? I just made my first batch. I used one bar burt's bee's and some left over goats soap. I am wondering how much coconut or possible even olive oil I could add? Used a bar of Burt's Bees Pepermint Soap and it took about 5 days to thicken up. THANK YOU THANK YOU for posting the tutorial! For the folks that used dr. Bronners- did you you only use one bar of 5 oz soap and still the 1 gallon of water? My mom and I are getting ready to make a batch. I loved this idea. I was so excited, I ordered Mrs. Meyers online and whipped up a batch for Xmas gifts for neighbors and teachers. I even had enough left over to use here @ home-yay! Thank you such an easy and fantastic idea!! Can't wait to try it with other soaps!! whoops! over whisked it and now have jars of bubbles! I made soap once in Chemistry class. We talked a lot about saponification. I think the reason behind the consistency of the different batches of bar soaps is partially the type of oil (or fat) base that the bar is made of. Anything you could probably ever want to know about the subject *including recipes for making soap yourself! * can be found at www.millersoap.com. Also google the term 'rebatching' but I'm pretty sure on the millersoap page it has soap troubleshooting and rebatching advice. Figured I would include this link for those who wanted it! Soap making is actually pretty neat... but for good results lol... usually time consuming. Just simply because you have to wait for it to harden. I made this soap last night around 10 and it is now 8:45 am and the soap never set? I did have to half the recipe because my bar of soap was only 4 ounces.... But I don't see why that would be an issue. Does it have to be a specific type of bar of soap? Mine just looks like cloudly soapy water... Any advice would be greatly appreciated. I left the millersoap link. I came back because I made this soap and I wanted to add a couple of things for curious people. Basically what is happening when you make this is you are trying to turn a hardened bar of soap back into its liquid ingredients and get it to stay that way and still act like soap. You will probably have the best results if you use a bar of soap that has a high fat content... be it vegetable or animal based. I don't think there's that many animal fat based soaps running around anymore... unless it is homemade (as you would have to use straight animal lard as your base). I would guess that commercial soaps are mainly vegetable based for a variety of reasons. However, having said that... some soaps are better than others for this purpose. A soap that is primarily vegetable based (like Mrs. Meyers) and has a high concentration of it would be better for this than something like Dove which has added moisturizers or something that has a higher oil content. See 'unsaponifiable' in Wikipedia. Also see saponifiable if you're curious about the chemical reaction which occurs when you make soap. I think also that the way the soap thickens depends on what type of base the origional soap company used to create the soap. When you make soap... it's a combination of an acid and a base which forms a salt. The two main choices you have in bases are sodium hydroxide (lye)... which forms a hard bar of soap. And potassium hydroxide... which will form a softer soap. Anyway... to make a long story short... basically what you are doing is shaving the soap into particles. Then you are adding water to dilute the soap. Then you are adding energy in the form of heat, which breaks the chemical bond between the fatty acids (animal or plant based) or triglycerides, and the base (lye or potassium hydroxide). The molecules are then dancing around in your pot in liquid form... looking for things to bond with. This is why when you come back 12 hours later you find a semi-hardened soap. All the molecules have mostly found their dance partners again. The glycerin you are adding into the mix... also helps the soap to harden back up again with the addition of the water to dilute the origional soap bar again. So I guess for some of you that have a problem with it being too hard... maybe fiddle around with the amont of glycerin you're adding. Also, for those of you who are having a hard time with your soap thickening up or setting up again... your soap is probably made up of a higher concentration of unsaponifiable oils. So in order for it to produce the reaction you want... which is to thicken up... I think you either need to give it time, or use less water (which will probably alter the amount produced) or pick a different bar of soap! Hope this helps and isn't more confusing lol. I made this with 2 bars of the pink Dove soap and about 3.5 quarts of water. I used less water to see if it would set up better. It came out the consistency of heavy cream. I've been using it as a body wash and a face wash in the shower and it works great! Dove soap works if you don't mind the runny consistency. I probably wouldn't let guests use it, but I'm loving it. I'm planning on making some hand soap and men's body wash. I wonder if this would work with those glycerin soaps that Dial makes. I love the smell, but hate using bar soap. Thanks for the awesome DIY! Awesome site! 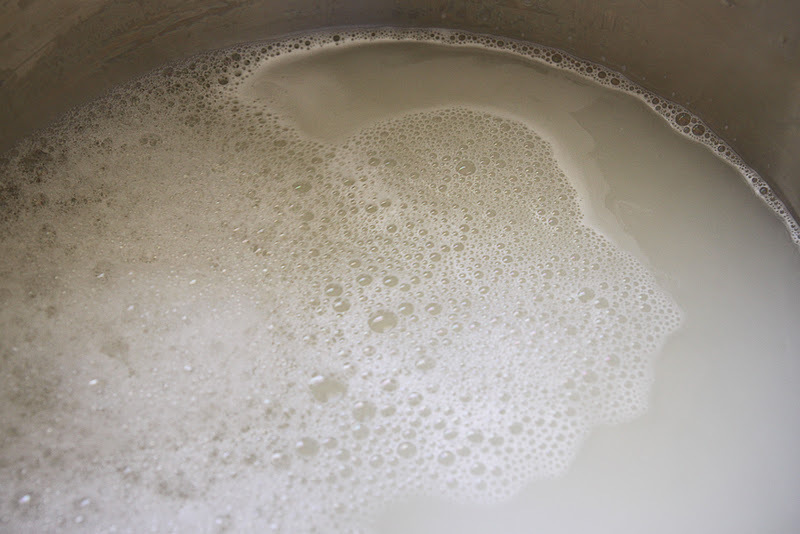 I make my own laundry soap and it works wonderful. Saves me tons of $$. I would like to know if anyone has any idea how I can make my own dish washing LOTION!! I wash dishes by hand (I do have an automatic dishwasher, its just that old habits are so hard to break!). I buy the Meyer's brand of dish lotion and want to duplicate it. Ok, I've been making my own bar soap and lotions for a few years now bc my youngest son has really sensitive skin. Also, with this amount of water I would recommend a preservative. You can find a paraben and formaldehyde free preservatives online. Be careful giving these away to friends and family without a preservative! Wish I had smelly-vision. I love Mrs. Meyers. Can't wait to try your recipe! And if you have a Salad Shooter.....even LESS time involved in this venture! Do you think using Dove and less water would work? I figured out why everyone's is too watery. Your reciope calls for 1 8oz bar of soap. However most soaps are only 4-5 oz. You might want to change your recipe to "8 oz's of bar soap" to eliminate the confusion. I just made it and it's WONDERFUL!!! Thank you! Just made this with a different brand of soap! Can't wait to see how it turned out! Mine worked fine the day I made it, I went to use some that I had stored and its a mix of liquid and huge chunks. I added a bit of boiling water and shook real good and that seemed to help but anyway of preventing this? I forget what I used when I originally made it but it was some type of bar soap for shampooing/shaving/bathing from target.